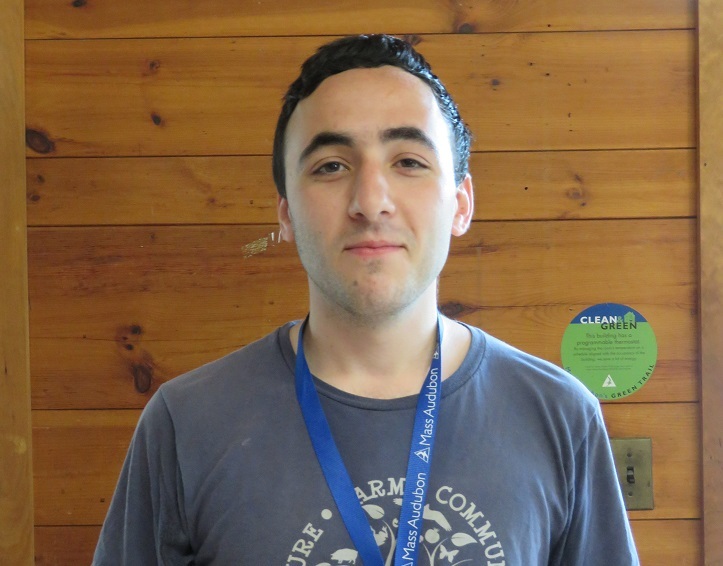 Posted on June 7, 2018 by Kelly M.
How did your relationship with Drumlin Farm start and how did you become a camp counselor? I began coming to Drumlin Farm when I was around eleven years old. My grandparents had introduced me to bird watching so they brought me to Drumlin Farm. I loved watching the bluebirds fly over Boyce Field and the Drumlin. Their wings shimmered a spectacular shade from the reflection of the sun. I became a camp counselor at Drumlin Farm because I had grown to love nature and remembered the few times that I visited when I was younger. Prior to Drumlin Farm, I was a visitor education volunteer at the New England Aquarium and had worked nearby at The Food Project. 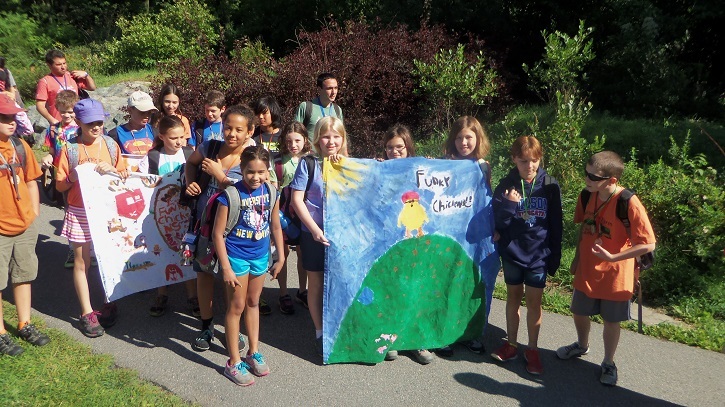 We wouldn’t have Summer Camps without Drumlin Farm Campers! What’s your favorite part of working with the campers? My favorite part of working with middle school campers is that they understand that they can make a difference in their community and environment. 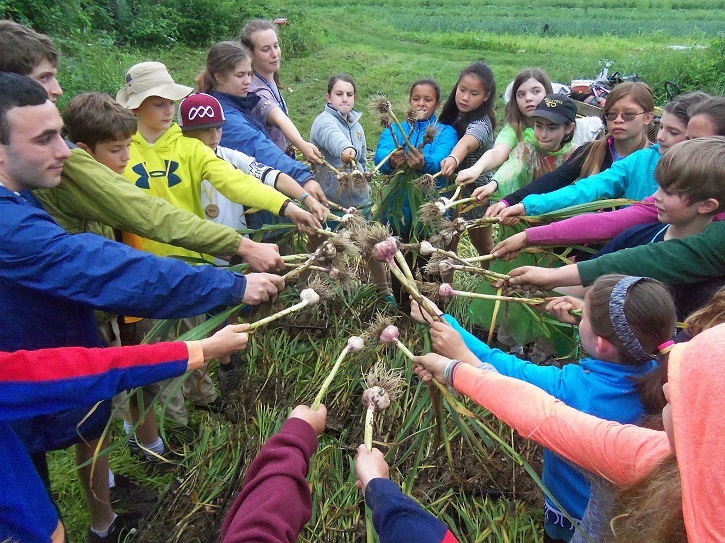 A lot of campers end up educating their parents about sustainable farming practices and how eating local can reduce their carbon footprint. I also love building a sense of community among the campers. We do a lot of team building activities for the first few days of camp so that campers feel a connection to each other at both the individual and communal level. Last summer, I created a lesson about the hidden animal parts that can be found in common foods, such as gelatin in candy. I bought some groceries and had campers try to figure out which ingredients were derived from animals. Campers were both fascinated and shocked by the lesson. Another memorable experience happened while teaching a first grader how to figure out the amount of woven rectangular spaces there were between two fence posts. We walked along the fence together and I showed him how we can use multiplication to find the answer. I knew that I had made a lasting impression because he joined me and followed my schedule for the rest of the day. Have you had any notable wildlife or nature interactions from your time at camp? One of my favorite memories was watching a cicada killer paralyze a cicada near the Drumlin. It was interesting to see such a huge bug become incapacitated by an enormous wasp. I also love looking at the stars during the overnight camps. Once I was scared by a deer in the middle of the night; all my campers were asleep and a shadow slowly moved towards me. As soon as the deer saw me, she made a sneeze like sound and bolted away. It was both starling and fascinating, seeing the deer in it’s natural habitat in the evening was breathtaking. What are you looking forward to most for summer 2018? I am looking forward to harvesting vegetables for the family night farm stand. I always love watching the campers experience the whole process–from harvesting, to washing, to sign making, and finally selling the vegetables. Field to farm stand to table! What don’t a lot of people know about being a camp counselor? Drumlin farm is more than just a wildlife sanctuary for animals: it’s also a sanctuary for people to express themselves openly in an experiential learning environment! Summer camp 2018 is starting soon but there’s still time to sign up! If you’ve like to meet Camy and the rest of our amazing camp staff, learn about and register for a variety of camp programs here. This entry was posted in Camp and tagged Assabet River, Drumlin Farm Camp, Meet a Camp Counselor, summer, Wolbach Farm on June 7, 2018 by Kelly M..
Posted on February 7, 2018 by Kelly M.
Enjoy the fresh air, warm sun, and a little dirt under your nails dirt under your nails at Boycle Field. At Drumlin Farm, our fields are open to the public, maintained so that our work is legible even if we’re not there to explain what’s happening. We want you to be able to track the development of your carrots from seed to harvestable root and your peas from shoots to pods hanging from the trellis. And beyond the fields, there’s even more to engage with at Drumlin: cooking classes for kids and adults, yoga classes, summer concerts and summer camp, guided hikes, daily drop-in activities, wooded trails, ponds, hilltop views, livestock barns, and wildlife displays, including our most recent additions, a young red fox and a reclusive porcupine. The CSA is just one of the many paths that leads into our vibrant community farm and wildlife sanctuary. Through this path, shareholders can truly connect to the seasons and to the health of Drumlin’s land and surrounding ecosystems. Historically, that CSA path has also been something of a yellow brick road with returns on initial investment averaging 20%! Some improvements we’ve made to our CSA programs for 2018 include the availability of half shares and a reconfiguration of the distributions to better align with members’ schedules. 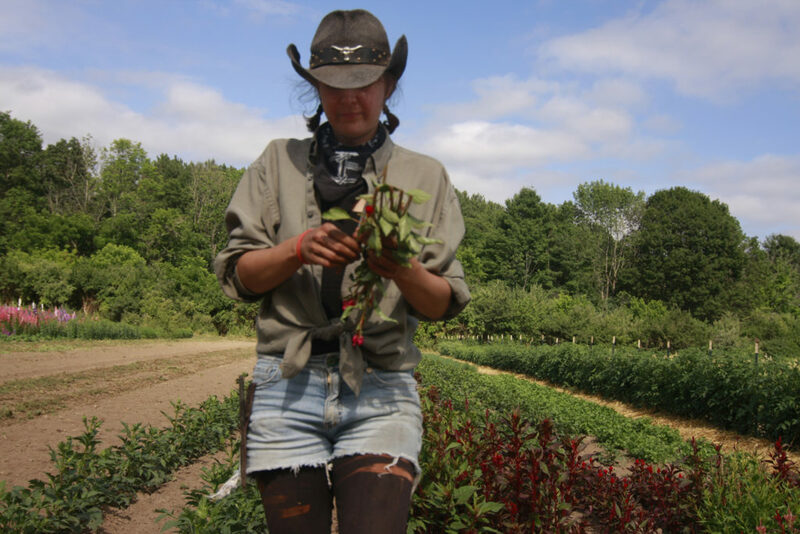 Our Spring, Summer, and Fall CSA registration is now open, with many options for work shares, pick-your-own shares, half shares, flower, and fruit shares. We look forward to meeting you in the fields! This entry was posted in Uncategorized and tagged community supported agriculture, crops, csa, fall, farm, farm-to-table, food, local, spring, summer on February 7, 2018 by Kelly M..
One of the best perks of summer is when all of our favorite restaurants open their doors and break out the patio dining, serving up grilled eats, ice-cold drinks, and all the twinkle lights you can handle. Did you know that nearly 20 restaurants in the Boston area receive produce from Drumlin Farm? 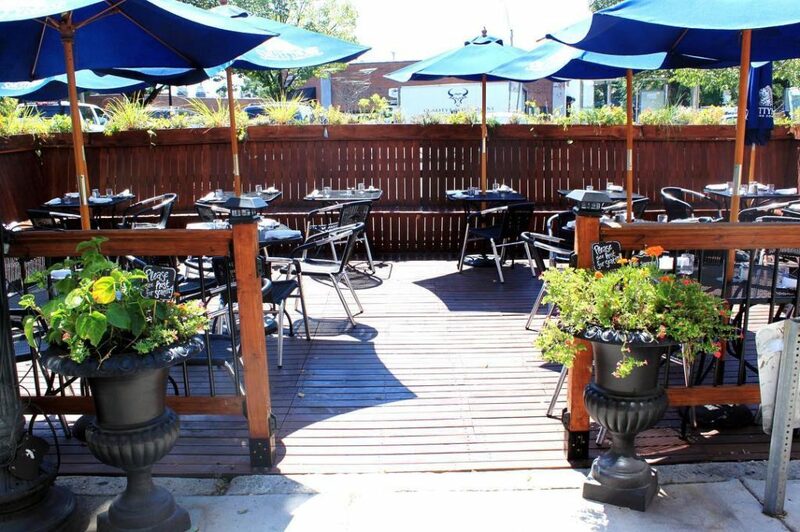 And oh yes, some of them even have patio seating. 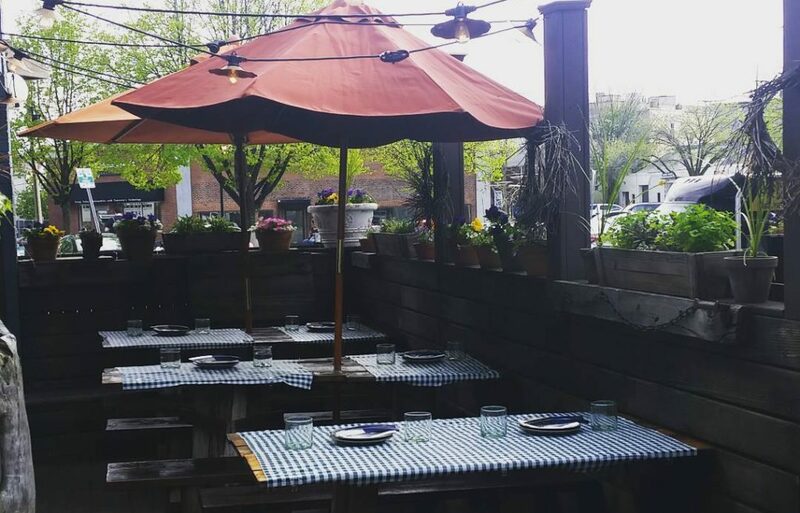 Here are four local spots that combine (what we think) is the best of summer: Patio dining and fresh Drumlin Farm produce! Brunchers, get ready for an Irish breakfast, roasted beets, and baby kale salad. Sunscreen optional. 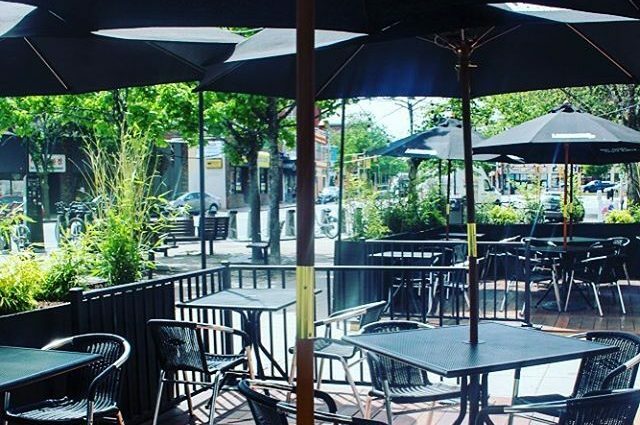 If you’re looking for a cozy, casual patio experience, stop at Bronwyn for some knödel with hakurei turnips, radicchio salat, and pickled eggs with beets. The pizza specials at Cambridge Brewing Company are amazing: fig and arugula or peach and dandelion greens? One of each, please! 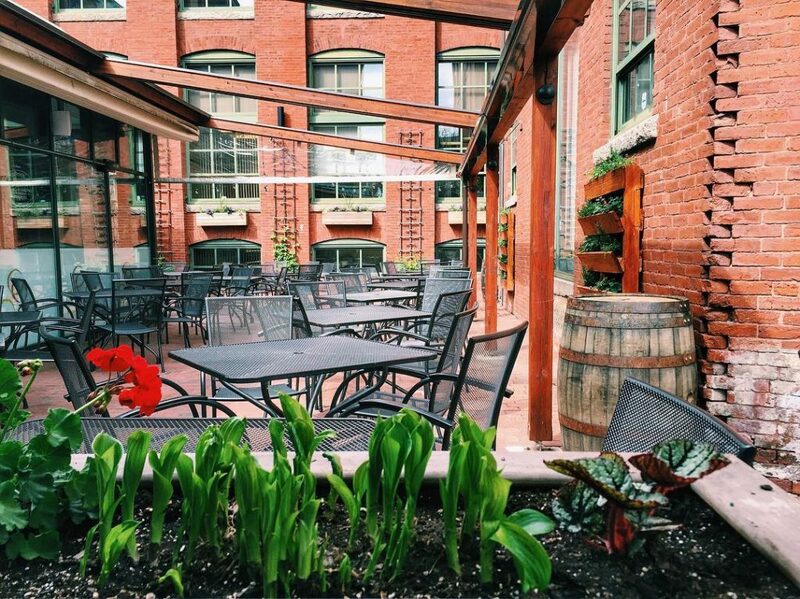 People-watch your way through a meal at Somerville’s new Brass Union. Their brunch menu features roasted veggies, and chorizo with scallions. Pair that with coffee and orange juice and you’ll be set for the weekend. Can’t get enough Drumlin Farm produce in your life? Feast at Moon Over Drumlin, where some of Boston’s top chefs will prepare our produce and meat to perfection. Tickets are going fast! This entry was posted in News, Uncategorized and tagged cuisine, drumlin farm, farm, farm-to-table, local, moon over drumlin, organic, patio, summer on July 14, 2016 by Staff. The winter squash and pumpkin crop are growing vigorously in the newly opened field we are calling “Mexico” (because it’s south of the field we call “Texas”). One advantage of growing crops in newly worked ground is that there is almost no weed pressure in the first year. Not having to manage weeds in Mexico allows us to devote more time to the harvest and to weed-control in the flower patch, perennial garden, and strawberries. It looks like our entire garlic crop has failed. We’re not sure what the problem was, though many of the plants burned over two cold nights in April. It’s a big loss for us and for those of you who love garlic. On a brighter note, the onion and shallot crops look bountiful, and the tomato patch continues to look excellent! We expect to begin harvesting cherry tomatoes next week. The cucumbers and eggplant harvests are about to reach a size when we can include them at the farm stand, our CSA, and restaurant deliveries. We hope for rain in the coming days to keep our crops growing strong. This entry was posted in Education, Farming and tagged csa, drumlin, farm, farming, local, organic, summer, tomato, vegetables on July 13, 2016 by Staff. Cauliflower from the greenhouse ready for transplant! 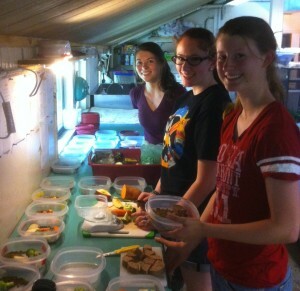 Camp Weed-Out #1 was in full swing on Tuesday! Campers are whisking weeds out of beds of broccoli, leeks, and fennel. 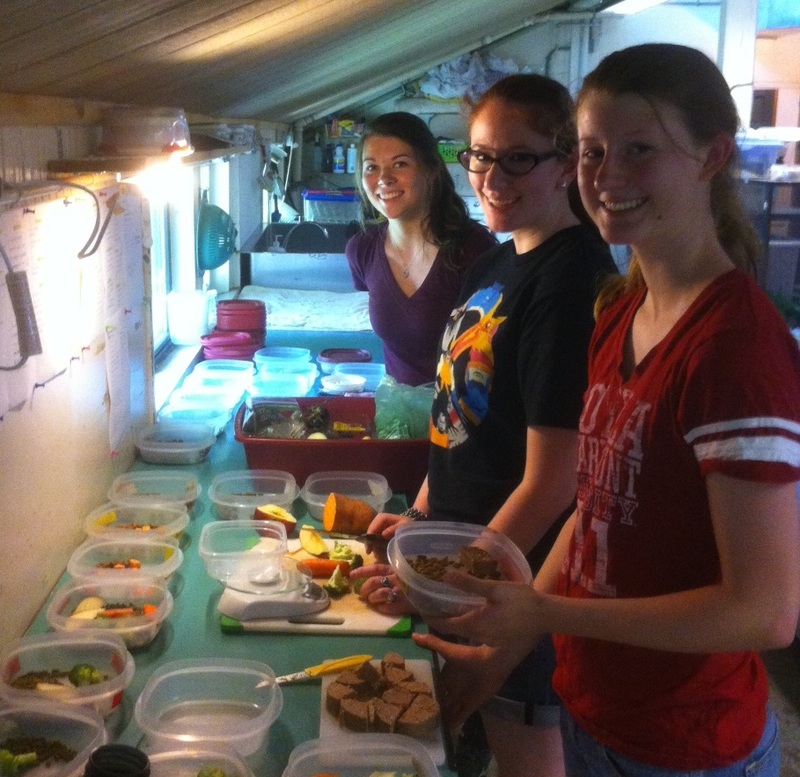 Food and Farm Educator, Emma Scudder, and crops team members Cara and Katie are working with the counselors to direct the hundreds of kids. Fantastic job, all! Now that we’ve had about an inch of rain over the past ten days, weeds and crops will be growing faster, and the Weed-Out comes at just the right time. We’re engaged in a long-term effort to reduce the size of the weed seed-bank in the soil. The bigger the seed-bank, the more difficult it is to establish direct-seeded crops like beets, carrots, and mesclun mix: You prepare a bed and seed it, only to find that weeds are germinating in a carpet ahead of your crop! This sometimes happens at Drumlin Farm, but the problem would be much worse if we didn’t devote lots of time to hand-weeding, hoeing, and tractor cultivation. 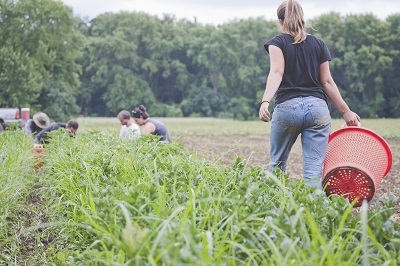 Last week, volunteer groups helped us spread straw in the tomato patch, which will suppress weeds, help keep moisture in the soil, and prevent mud from splashing onto the lower leaves during heavy rain. The mud can spread plant pathogens into the tomato canopy. Straw is also an important part of our soil management practices. We’re always looking for ways to build soil organic matter, and plowing in straw at the end of the season is one way to do that. 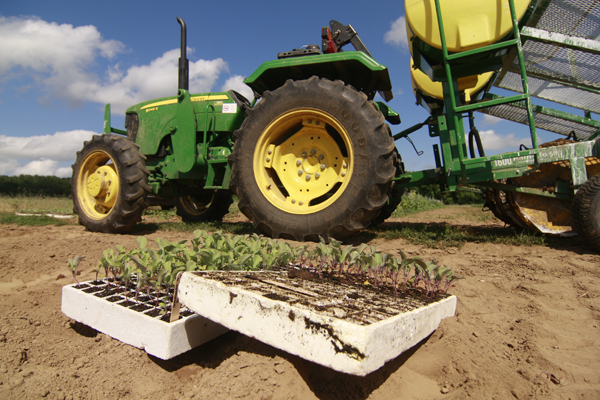 It’s the organic matter in the soil that traps moisture and helps our crops survive droughts. Peas and strawberries are finished for the season. The spinosad spray for Colorado potato beetle, which we applied last week, was only minimally effective, so we’ll see reduction in the harvest as a result of foliar damage to the plants. On Monday, the crops team mowed a few beds of potatoes to prepare them for harvest. “New” potatoes come early in the season, often from plants that haven’t reached full maturity. The skin on these potatoes is very delicate, and sometimes flaky, because it hasn’t had time to toughen in the period between when the plant dies back and harvest occurs. We’ll have potatoes at the stand by the weekend! This entry was posted in Education, Farming and tagged cauliflower, crops, csa, harvest, organic, plants, summer, tomatoes, veggies on July 6, 2016 by Staff. Summer is generally seen as a time of respite from school, but for five ambitious college students who recently joined our Wildlife Care Internship program, learning doesn’t stop to take a breather. Since 2012, Drumlin Farm has offered college students a unique opportunity to work alongside our staff to learn how to care for more than 30 species of native New England wildlife. As part of the program, students also learn how to conduct wildlife education programs for the public. This summer our interns come to us from Mount Ida College, Middlebury College, Brandeis University, and the University of Maine. On any given morning Maggie, Bess, Jenny, Nathalie, and Kristina can be found atop bird hill, assisting volunteers in cleaning the raptor enclosures. They might also be spotted co-presenting on woodchucks, opossums, kestrels, or screech owls alongside our education staff. When not interacting with the public, the interns spend most of their time at Drumlin Farm’s Wildlife Care Center, an area of the sanctuary closed to public, where our educational animal ambassadors live. Here they prepare food, clean animal enclosures, and assist with daily husbandry tasks such as rearranging enclosures and weighing and training animals. 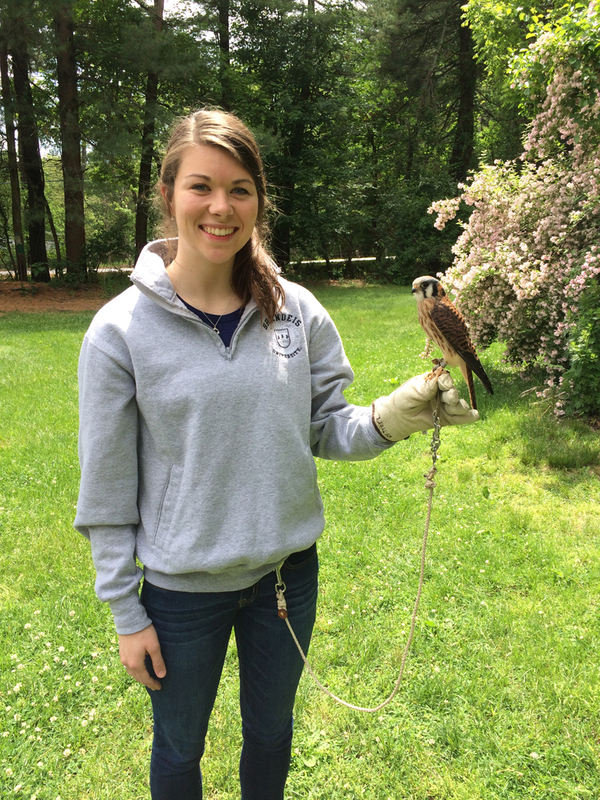 Our Wildlife Care Internship program is offered to local college students each semester and provides an excellent way for students to fulfill academic requirements. The hiring process for our fall 2015 internship program will begin mid-July; be sure to check the website at that time to learn how to apply! This entry was posted in Animals and tagged internship, summer, wildlife on June 19, 2015 by Heather.